Stories of inadequate care provided by professional caregivers make headlines on a regular basis, leaving families of elderly homecare clients concerned, and requiring agency owners to ensure their clients are in good hands. A recent inquiry by the British Equality and Human Rights Commission (EHRC) found an abundance of systematic shortfalls, and lack of program oversight, leading to the negligent care of seniors receiving government-funded home care. Without a reliable system in place to oversee caregivers, seniors reported not being served meals, receiving the wrong medication and enduring blatant disrespect. According to the EHRC’s final report, "The cumulative impact on older people can be profoundly depressing and stressful: tears, frustration, expressions of a desire to die and feelings of being stripped of self-worth and dignity - much of which was avoidable,"
Avoiding a similar situation in the United States is a chief responsibility of homecare agency owners who have committed to providing responsible, respectful care to the elderly population desiring to age in place. 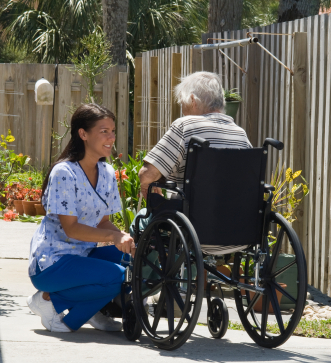 While homecare agency owners view new clientele as an opportunity to send professional caregivers into the homes of elderly clients, family caregivers may, conversely, view the hiring of a homecare service as turning over care to a complete stranger. Managing the concerns of family caregivers is a key component to ensuring the satisfaction of elderly private duty clients and their families.